Queen Anne style. 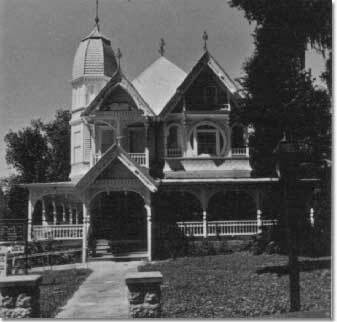 Two and a half stories, frame, clapboarding, carpenter decorations, octagonal turret, wraparound porch. John Phillip Donnelly, from Pittsburgh, was one of the founders of Mount Dora and its first mayor.